PRESS CONFERENCE ON DENIAL OF HIJAB RIGHTS IN SOUTH WEST NIGERIA ORGANISED BY THE MUSLIM RIGHTS CONCERN (MURIC) ON WORLD HIJAB DAY, 1ST FEBRUARY, 2019 AT MURIC’S NATIONAL HEADQUATERS, IBA, LAGOS STATE. I welcome you all to this Press Conference on Hijab Crisis in the South West. Let me begin by calling your attention to the significance of our choice of today to hold this event. Today, Friday 1st February, 2019 is being observed as WORLD HIJAB DAY. Many events are taking place simultaneously in several places in Nigeria and other countries of the world to mark the event. This is why we have picked today to address this press conference. You are all aware of the proliferation of hijab crises in several schools around the South West. About nine (9) female Muslim Students were locked out of their schools’ gates at the University of Ibadan International School (UIS) because they used hijab. Fifty-five (55) students were locked out of their schools’ gates at Ladoke Akintola University of Technology (LAUTECH) International School, Ogbomoso, for the same reason. Some of these infringements have been taken to court. Examples are those of UIS and Abeokuta where nine-year-old Aisha AbdulAleem of Gateway Secondary School, Abeokuta, went to court to enforce her Allah-given fundamental human rights because she was disallowed from using hijab in the school. An interesting development is the overbearing involvement of the Christian Association of Nigeria (CAN) in these cases. In the UIS case, CAN came in under the guise of the Christian parents in the school. They sought to be joined in the case. CAN did not disguise its identity in the Abeokuta case and it mobilized many Christians who attended court during each hearing. The atmosphere became so charged that the court authorities had to disallow both Muslim and Christian supporters from entering the court at the last hearing on Wednesday 23rd January, 2019. Even the traditionalists sought to be joined in the case. They appeared under the aegis of Traditional Healers Association. We have no doubt, however, that the traditionalist angle is still part of CAN’s manipulation. We hereby raise serious objection to the intervention of CAN in hijab cases because the matter is for Muslims and it has nothing to do with Christians. They have not complained about the existing school uniform because it suits them. It is the Muslims who are complaining because it does not conform with the rules of Islam. The current school uniform was designed by the British colonial masters before independence. That uniform was designed to suit Christians because the colonialists were Christians. Nigerian authorities should have reviewed it after independence but they failed to do so. Muslims are seeking to use their own because it is not suitable for female Muslim students as it contravenes Islamic dress code for females. Schools where Muslim girls are not allowed to use hijab are therefore forcing Muslim students to use Christian uniform. It is disheartening that although Muslims in the South West choose peaceful conduct instead of resorting to violence, our Christian neighbours still will not let us be. There is no doubt that Muslims who go to court over the violation of their hijab rights are taking the civilized and peaceful option. But Christians in Yorubaland under the aegis of CAN still seek to frustrate them by joining the cases in the court. But here is the paradox, the confusion. 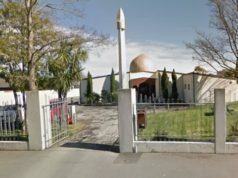 Did the Muslims take CAN to court? Did they take Christians to court? The answer is capital NO. The Muslims sued the school authorities or the state government. What, then, is CAN’s problem in the South West? CAN’s attitude symbolizes acrobatic religiousity. A good example is the Osun hijab imbroglio which occurred about four years ago. The Muslims took the state government to court and won the case. The state government therefore allowed the female Muslim students to use hijab but the Osun chapter of CAN went haywire. The leaders instructed Christian students to wear church garments to school instead of their normal school uniforms just to create confusion. So they came in white robes, celestial garments and church choir dresses. They also incited traditionalists to appear in masquerade gears to school! But it did not last because it was all hocus pocus. It was not convenient for the Christian students but they were doing it out of spite. We told them at the time that they were wasting their time. Where are those who wore celestial church dresses in Osun today? What of the masquerades? But the Muslim girls still wear their hijab to school. They eventually got their freedom. What the CAN leaders in Osun failed to realise is that Muslim girls are used to their hijab. They wear it at home and wherever they go. It is not for school alone. CAN relied on social truth. We rely on divine truth and it is certain that the latter will eventually overwhelm the former. Hijab is sine qua non in Islamic dress code. The Muslim girl-child uses hijab from childhood even before she starts going to school. Therefore nobody has the right to deprive her of it in any school, whether primary, secondary or tertiary. Muslim students still use hijab after returning from school. They change from the uniform hijab and put on any other hijab that fits the cloth they wear. The fact that Muslim women use it on the streets and market places is enough evidence that hijab is part and parcel of Islam. They are beautiful in it and they are proud of it. It is their identity. It is their symbol of liberty. But a church garment is for church affairs only. It is an aberration to wear it to school. It is an anomaly to wear it when visiting a friend. Which parent will send his son or daughter to the market while dressed as a masquerade? That is the ridiculous, insipid and pedestrian level that gymnastic spirituality and articulated neo-imperialism has driven CAN to in Yorubaland. That is why they are contesting every court case on hijab with Muslims. Meanwhile MURIC is keenly watching the court proceedings in the ongoing hijab cases in Ibadan and Abeokuta. We warn the Oyo and Ogun chapters of CAN not to make any attempt at perverting the course of justice. We know what they are capable of doing. We have no doubt that the current travails of the high and powerful in the judiciary is enough to send a strong message to the courts handling the hijab cases. Despite the fact that the constitution is on our side and some state governments have actually issued positive directives, some recalcitrant and fanatical Christian school principals are still frustrating our efforts. Lagos State is an example. The Court of Appeal gave victory to Muslims but the state government appealed to the Supreme Court. An attempt to secure stay of action was turned down. Yet the state government did not allow the use of hijab until late in November 2019. To date many Christian principals and teachers refuse to allow hijab in their schools. Unfortunately the state government has not mustered the political will to walk its talk. They should have made scape goats of those who disregard their circular on hijab but nothing has been done till now. Even outside the school premises, Christian teachers beat up our daughters for using the same hijab legalised by a court pronouncement and approved by the government. You are also not unaware of recent ugly developments in the ongoing registration exercise for the West African Examination Council (WAEC). Some school authorities ask female Muslim students to remove their hijabs before their pictures are taken. This is absolutely illegal, unlawful and unconstitutional. We have reports about such schools and we are certain that WAEC did not issue such instruction. Some schools where this obnoxious practice is going on have been reported to us. Among them are Adeolu Senior Secondary School, Oluwa Memorial Senior Secondary School, Ajeromi Ifelodun Senior High School, Ojoku Senior Secondary School, Cardoso Juniopr High School. Lagos State Government Secondary School, Ijanikin, Ajangbadi Senior High School, Oto-Awori Senior Grammar School and Iba Housing Estate Senior Secondary School. 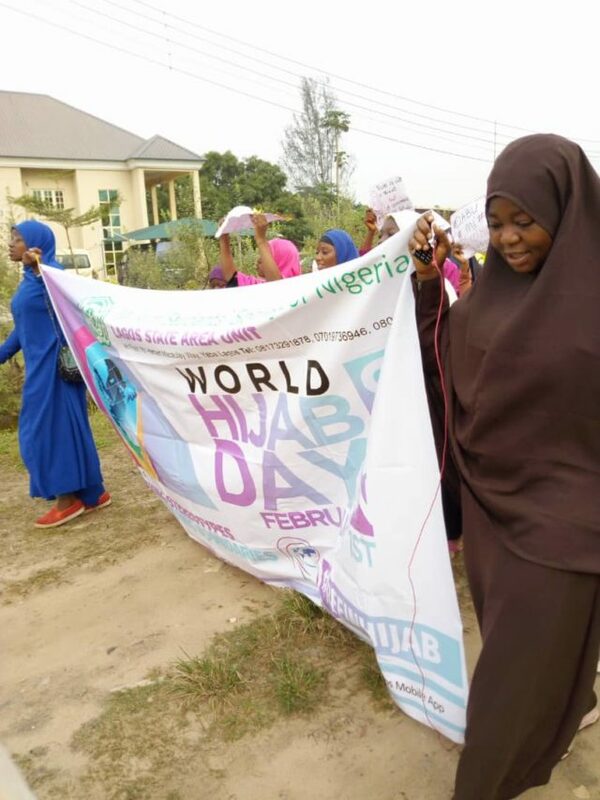 The case of Iba Housing Estate Senior Secondary School is didactic because MURIC’s Hijab Task Force (HITAF) personally led by the director caught the school red handed on Wednesday 16th January, 2019 as they were tormenting female Muslim students. The official in charge of the ‘capturing’ exercise told us point blank that the instruction was from WAEC. We challenged him to call WAEC office because WAEC has consistently denied involvement in making Muslim students remove their hijab. He made the phone call to his phony contact and later told us that ‘WAEC’ had agreed that the Muslim girls could use hijab. We have a video clip of this hypocritical and malicious encounter. This incident made us realise that there is a conspiracy against Muslims of the South West. Those behind the plot are determined to frustrate Muslims in the region in their effort to emancipate the Muslim girl child from the shackles of neo-imperialism. It is religious profiling, systematic stigmatization and methodical apartheid. It is a crime against humanity. That incident alone made us realise that we must change our strategy. It is time to mobilise Yoruba Muslims, particularly the nonchalant parents to get involved in the struggle to liberate the Muslim girl-child. We have seen that the solution lies in the hands of Muslims themselves. Allah said He would not change the condition of a people until they change their ways (Qur’an 13 :11). Yoruba Muslims have been lackadaisical. They care very little about what happens to their children particularly in the schools. Yoruba Muslims have forgotten that freedom is never given on a platter of gold. They forgot how Prophet Muhammad (SAW) struggled before his followers could enjoy freedom. They have failed to learn from the travails of Nelson Mandela, Thomas Sankara, Steve Biko, Martin Luther King, Ken Saro Wiwa, Gani Fawehinmi, etc who had to fight for the freedom of their people before they enjoyed it. MURIC seizes the opportunity of this press conference to appeal to Muslims in all states in Yorubaland to organize themselves for peaceful resistance. They must stand up for their rights. We do not mean any violent struggle but peaceful protests and occupations. Nobody will fight for us except ourselves. We must emancipate ourselves from neo-colonial slavery. The courts have made favourable pronouncements, yet school authorities refuse to obey. The state governments have approved hijab, yet fanatical principals and teachers are still persecuting our daughters. Enough is enough. Government and the security agents will not do anything until we Muslims exhibit the political will to liberate ourselves. It is time for action. It is time for determined yet peaceful activism. We are ready for a long struggle and we are certain that victory is ours in the end because our cause is just. We have been pushed to the wall. There will be an hijab task force in every mosque, every local government and every state in Yorubaland. We will not rest until freedom is achieved. We are taking this step because the hijab crisis is expanding everyday. Our oppressors have become emboldened by our docility. Yoruba Muslims are too silent and things are likely to get worse if nothing is done to stop it. Great Nigerian Muslims! We are involving you in order to take the struggle to the grassroots and to create greater awareness. We receive too many complaints everyday. We have therefore decided to decentralise. Every Muslim must know his Allah-given fundamental human rights. Nobody can take these civil liberties from you. Speak out against oppression. Protect yourself, your wife, your mother and your daughter from persecution. Unless you do this, our oppressors will soon be removing hijab from their heads inside commercial vehicles, on the streets and in other public places. To be forewarned is to be forearmed. This is a quiet revolution. MURIC is determined to change this e fi won le mentality, a docile mindset of the present generation of Yoruba Muslims. We must become an active and enlightened set of people. Every Yoruba Muslim must be involved. However, volunteers must remember that MURIC is a peace-loving human rights organization. Our motto is ‘Dialogue Not Violence’. We can get our rights without using violence. Islam is a religion of peace. Remember that Barrister Amasa Firdaus got her rights without throwing a stone and without firing a single shot. Muslim students of Osun state won the hijab struggle without burning or looting. We stopped the hijab video dance by ‘Falz the Bad Guy’ without throwing a single stone. WAEC has changed its examination timetable for examination during Jumu’ah prayer when MURIC intervened peacefully. All members of hijab task forces must therefore be peaceful and orderly. You are ambassadors of Islam. Instead of using force or becoming violent, HITAF should beat bandiri drums and sing waka songs. Muslim women also have the chance of joining HITAF. They will be useful in rendering Asalatu songs with their melodious voices. HITAF is expected to go to schools in their neighbourhood where hijab is illegally disallowed. Without necessarily resorting to violence, parents in conjunction with their Muslim communities must find ways of deterring teachers who beat or punish their daughters for using hijab such that it is not repeated again. Such methods may include Islamic means but not excluding resort to legal mechanism by inviting security agencies where necessary. Our young daughters look up to us for protection and guidance and as such we have a duty in loco parentis to rally behind them. We cannot afford to fail them. They are most likely to blame us for abandoning them in time of need if we fail to rise now before it is too late. Failure to support them now may result in the girls losing hope and abandoning their parents’ faith. In view of the fact that school principals and teachers are disobeying government’s directives, flouting the constitution and illegally punishing Muslim students and depriving them of their Allah-given fundamental human rights, Yoruba Muslims are left with no choice than to protect their daughters. Those who make laws difficult to obey make it impossible for people not to disobey. In the same manner, those who give illegal and Satanic instructions to Muslim children in schools make it impossible for the students not to disobey. This is why Nelson Mandela said, “When injustice becomes law, resistance becomes a duty”. The silence of civil society is worrisome but we are not surprised. Western-oriented human rights organisations have never shown any interest in the plight of Muslims. It is as if Muslims are not considered human beings by them. But they forget that this was the same parochial and myopic view held by the apartheid South African regime and it collapsed when the blacks united against it. So will the oppressors of Muslims be defeated if the Muslims can rise to the occasion. We hereby declare 2019 the Year of Hijab Rights in Nigeria.